Plot Summary: U.C. 0096... The manufacturing colony Industrial 7, which is still under construction, floats at Lagrange point 1. 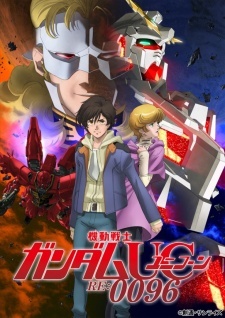 A youth named Banagher Links, who grew up without knowing his father, meets a mysterious girl who has stowed away on a ship bound for Industrial 7. As the white mobile suit Unicorn undergoes repeated tests and becomes the subject of diverse speculations, the hands of time begin to move. Banagher does not yet know that he has been caught up in the conflict surrounding Laplace's Box. What is Laplace's Box? What secret does it contain? The hundred-year curse of the Universal Century is about to be resolved.